• Joplin, Mo.-based CFI said it would increase its pay per mile for its current over-the-road drivers by 1 cent to 3 cents based on the accumulated career driving miles with CFI, a truckload carrier and subsidiary of TFI International. The increase goes into effect on July 22. Independent drivers will receive the 3-cents-per-mile increase, CFI said. CFI will also accelerate the time it takes for a driver to reach top mileage pay by condensing its previous requirements for mileage attainment. CFI operates 1,897 company tractors and 7,365 trailers along with a contractor fleet. • Bethel, Pa.-based K.L. Harring Transportation raised its base rate for teams to 70 cents per mile and increased its weekly guaranteed minimum pay to $1,600 per driver for each week on the road. The new rates went into effect on July 1. “We want to have a highly competitive compensation program in place that will allow us to continue to welcome experienced team drivers into what we feel is one of the nation’s most elite fleets,” said President Keith Harring, who launched the company in 1978 as an owner-operator. K.L. Harring said women represent 40% of its driver population. • Heartland Express of North Liberty, Iowa, said it increased pay July 7 for drivers in all its divisions, including mileage, hourly, salaried, teams and owner-operators. Heartland will pay 40 cents to 49 cents per mile, based on division, for drivers with at least six months to a year of over-the-road experience. The company will continue to offer bonuses based on safety, its northeast region Green Mile work, and Canadian miles, in addition to a hazmat bonus. For a newly hired driver Heartland will recognize up to 10 years of experience and offer those drivers 45.5 cents to 53.5 cents per mile. Heartland said its safest, most experienced drivers can earn up to 67.5 cents per mile in select areas of the country. • Montgomery Transport of Birmingham, Ala., will launch later this month MT Dedicated, a division designed to increase driver home time. The flatbed carrier said the unit would focus on hauling customer-specific freight in a defined, regional area leading to increased home time for drivers and better service to customers. “We have recently made several improvements to our professional drivers’ pay package and benefits, began a lease-purchase program and created a huge referral incentive for our drivers,” CEO Rollins Montgomery said. In March, Montgomery increased by 1 cent per mile its compensation for existing drivers. The company said its drivers’ average annual pay was more than $62,000, with the top 10% of drivers earning more than $71,500. 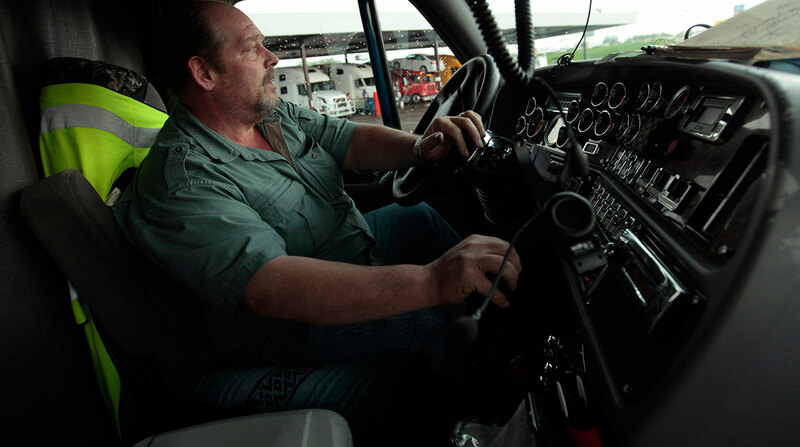 • Murray, Ky.-based Paschall Truck Lines implemented on June 29 a pay increase for its drivers, allowing them to earn up to 45 cents per mile in base pay with the potential to earn more through safety and service bonuses. Paschall is employee-owned, and company drivers with tenure automatically earn stock in the firm. In 2017, Paschall reported 950 company-owned tractors and 3,101 trailers.